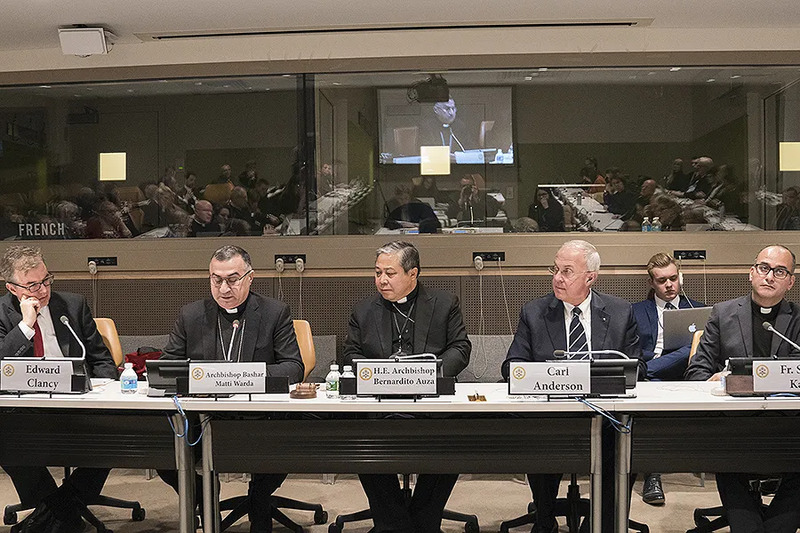 New York City, N.Y., Dec 4, 2017 / 08:01 pm (CNA/EWTN News).- A UN panel met last week to discuss the aftermath of the Islamic State’s occupation in Iraq’s Nineveh Plain, saying that the region’s future depends upon the preservation of the practices of pluralism and diversity. Portland, Maine, Sep 25, 2017 / 10:21 am (CNA/EWTN News).- A lawsuit seeking to challenge a Maine law allowing only doctors to perform abortions has drawn criticism from pro-life advocates who warned it could endanger women’s health and safety. How critical can these Christians be when the Vicar of Christ on Earth cannot spare a five minute airport visit to his Catholic flock? No matter how many crucifixions took place in Iraq, the bishop of Rome does not want to offend his muslim friends, first, last and always. Bet on it.